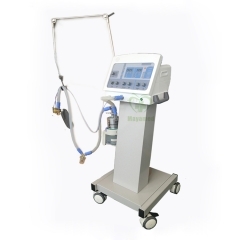 O2 and N2O four-tubes flowmeter, integrate circuit system, children or adult bellows. 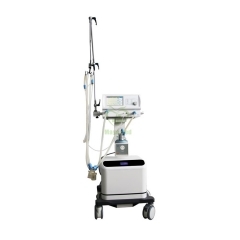 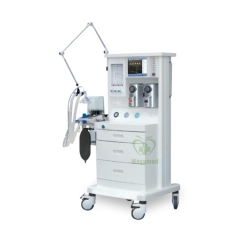 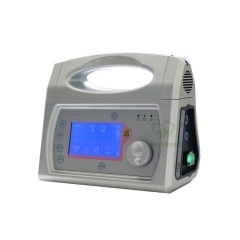 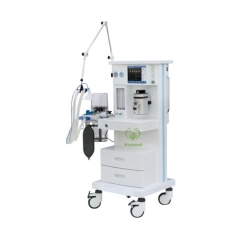 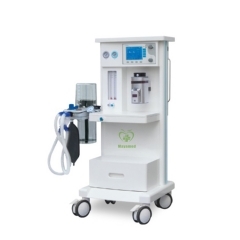 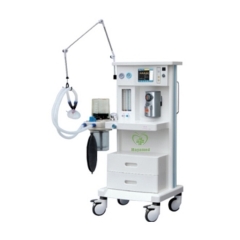 8.4″ LCD ventilator (IPPV, SIPPV, SIMV, SIGH, MANUAL, PEEP,IMV,VCV,PCV ventilation volume, tidal volume, respiratory rate, peak pressure of airway) . 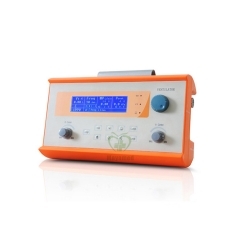 real-time display of pressure/time and flow-speed/time waves, incorporation of parameter setting and monitoring.with proportional valve. 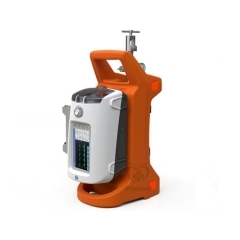 Including O2 concentration monitoring, Optional CO2 concentration monitoring.